Acupuncture involves the insertion of needles about as slender as a human hair into the skin on specific locations of the body. 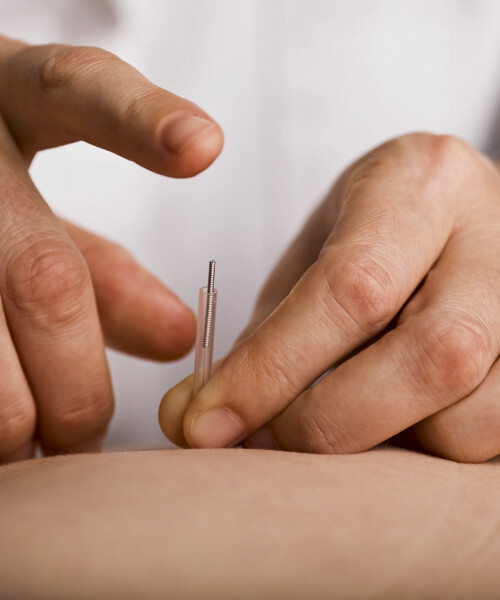 The acupuncturist may simply leave the needles in for a period of time, or may manipulate them with his hands or via electrical stimulation. Different people experience acupuncture in different ways. Many report no discomfort whatsoever during needle insertion, while others report pain. Some people feel a burst of energy following the treatment, while others become relaxed. Follow-up treatments typically occur over a time span of several weeks or months. Unlike undergoing surgery or even completing a drug regimen, acupuncture is a noninvasive treatment, with little to no side effects or recovery time. It may therefore reduce dependence on medications as well as the need for unpleasant medical procedures. Acupuncture is suitable for almost all people, regardless of physical condition, with the possible exception of those suffering from bleeding disorders or taking blood thinners. The practice takes a holistic approach in attempting to eliminate the root cause of the malady, rather than simply mitigating the symptoms.